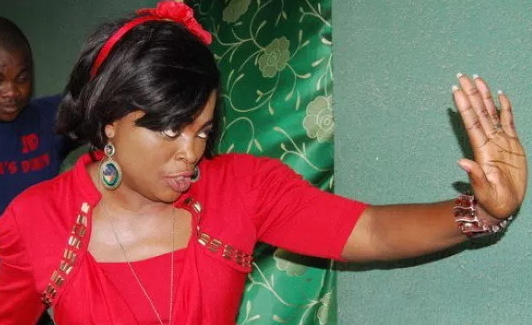 Nollywood actress Funke Akindele is the most talked about Nigerian actress of the year 2018 after Marvel’s studio unveiled her among the cast members of the highly anticipated multi million dollar movie Avengers: Infinity War. According to the character profile on Marvel studio’s site, Akindele will be a member of the Dora Milaje, elite group of women who are personal bodyguards for the Black Panther. Dora Melaje team members who are potential suitors for the king were recruited from the Wakandans, who traditionally speak to each other and the king in Hausa dialect. Akindele was not authorized to speak more about her character that is why she is yet to officially confirm her role in the movie. Seems your case as gone beyond diarrhoea of the mouth but HIV of the mouth. See how shallow your brain is. You that haven’t lost two kids, what have you achieved. Shut ur ******* mouth Sola, what are you insinuating. Funke a gift to our generation. Loveu.